I think I covered everything in the original post, including some additional tips along the way. 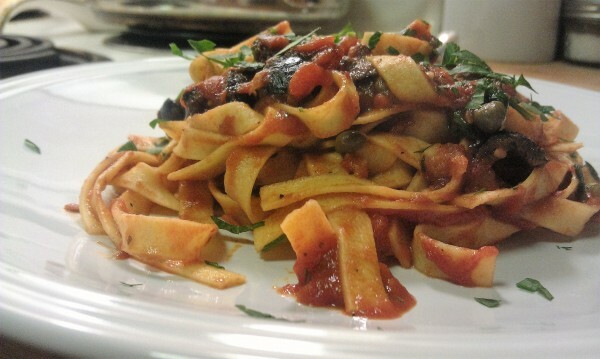 Spaghetti alla puttanesca is a fairly popular Italian pasta dish that you see around. The name is a bit bizarre, as it translates to whore’s style spaghetti. I don’t know where or how this started, and I don’t want to know. In the movie, Made, starring Jon Favreau and Vince Vaughn, Favreau’s character, Bobby, cooks the dish and explains it as “bad girl’s pasta” to his girlfriend’s daughter. I guess that’s a less offensive way to name the dish. When I make mine, I prefer to leave the whores and otherwise bad girls out of it. 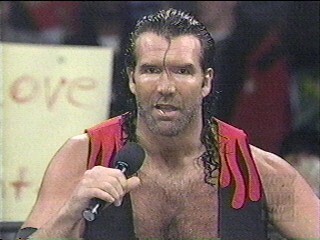 I call mine, “Bad Guy’s Pasta,” which is a play on the name and, of course, is a reference to Razor Ramon, the Bad Guy, otherwise known as Scott Hall. 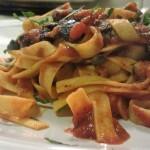 It’s a fairly simple dish that you can make and clean up inside of 20 minutes. It couldn’t be simpler. Get a big pot of water up to a boil on a back burner and add a punch of salt. 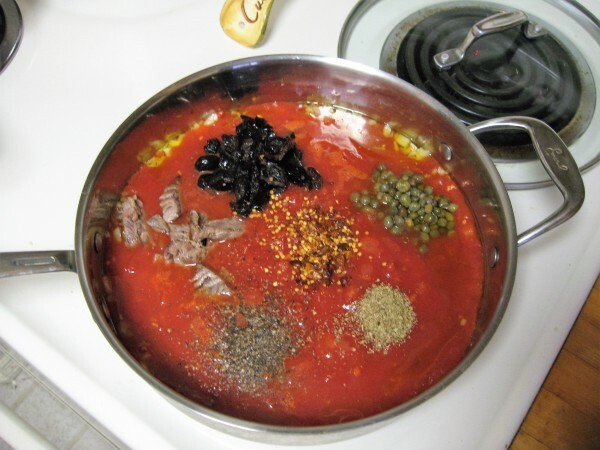 If using peeled tomatoes, crush tomatoes in a bowl using your hands or a fork. 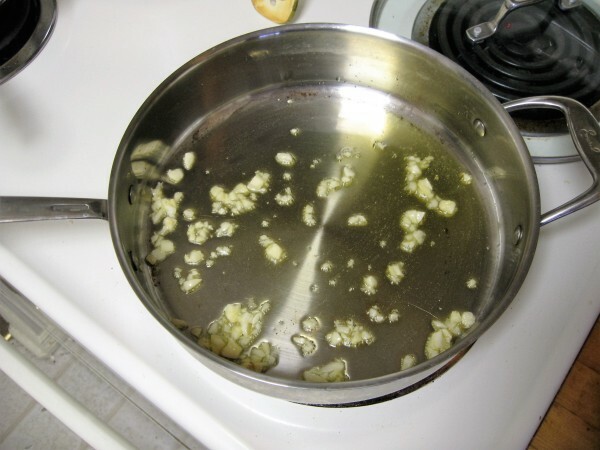 Coat a pan with olive oil and lightly cook the minced garlic. Add everything except the parsley. 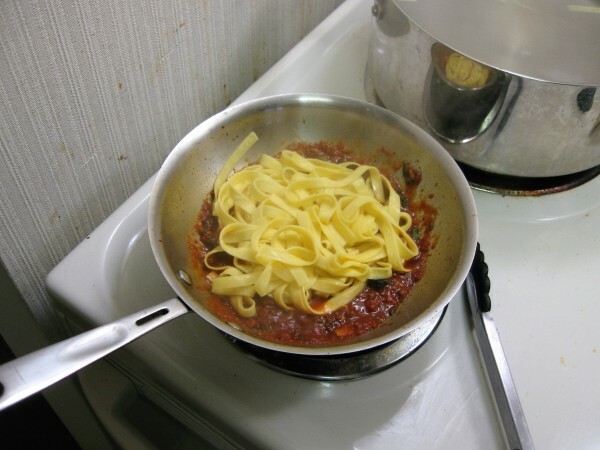 Cook your pasta for a minute less than the package says. 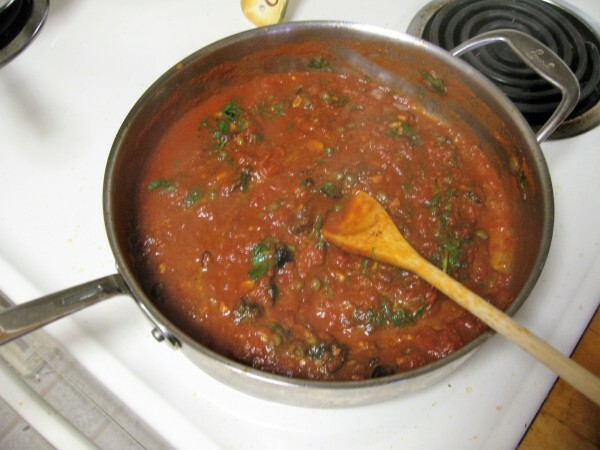 Add pasta to sauce over low heat. Toss carefully with tongs. 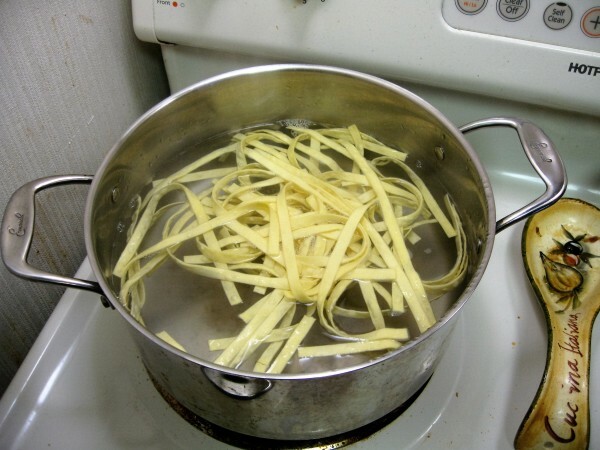 Add 1-2 TBSP of water from boiling pasta until sauce gets tight around the pasta. Transfer to a warmed plate and enjoy!